We celebrated the CFC-FFL Community Conference on Sunday in a brand new venue – the Sta. Rosa Convention Center in Laguna! Really nice venue – cool aircon, nice bathrooms – maybe a little hard to get to with the traffic situation in Sta. Rosa, but if you are from Manila, what is traffic? The Community Conference theme took on the community theme for 2019 – Families on Mission! It was definitely a celebration to kick off the year where we will truly look into sending families to proclaim the goodness of the Lord. It is so nice to see families attend these conferences together. We brought our 5 kids with us, and, with other couples bringing their kids as well, the whole venue becomes a big playground where the kids feel safe, and also see the adults worship. Faith is caught, not taught, after all! CFC-FFL is a community of families, not just couples, and journeying in faith together as a family ensures the next generation of community members. The reason I became active in community was because of mission. And hopefully our kids will see – even more – the importance of community through our going on mission together. At one point during the program, families were asked to go on stage to be prayed over. As a representation of families in the community. We were one of those families asked to participate. Des and I brought our 5 kids with us (plus one – our nephew Lucas) – and it felt really wonderful to be able to be together. Serving together. Praying to God together. That is what it is all about, right? Making sure your family gets to Heaven, and while doing that, getting others to join you on that journey as well. We are blessed to be see the evolution of this mission. It started with couples. And now, it is whole families embodying and doing the mission together. This is the way! If you check out the main photo of this blog, you’ll see it resembles the Community Conference logo. 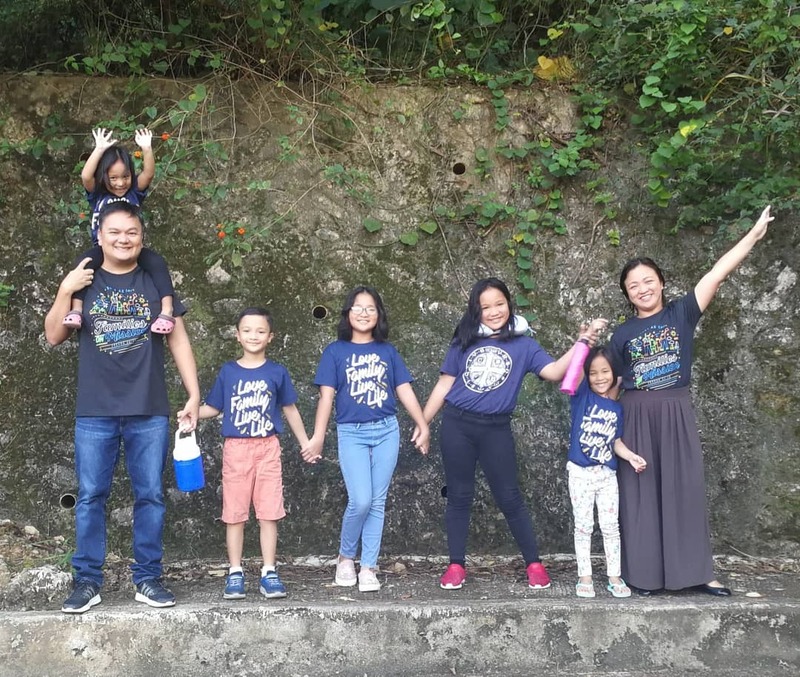 Families on Mission, not only on logos and shirts, but IRL too! Previous New Year at the Beach!